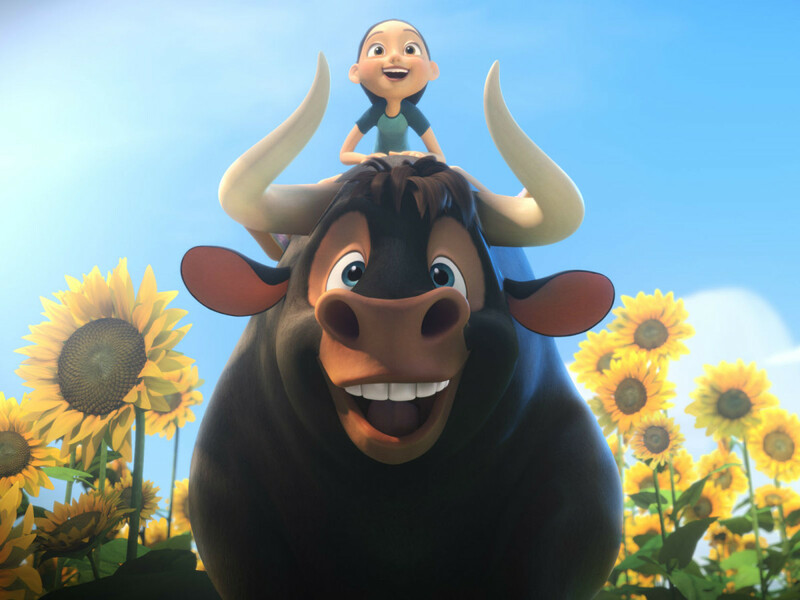 After 81 years of sitting still in the pages of a classic children's book, everyone's favorite big, lovable bull is finally getting his chance to shine on the big screen. American author Munro Leaf wrote The Story of Ferdinand in 1936. It was adapted as a short film by Walt Disney in 1938, but it’s taken until 2017 for it to be made into a feature length film. 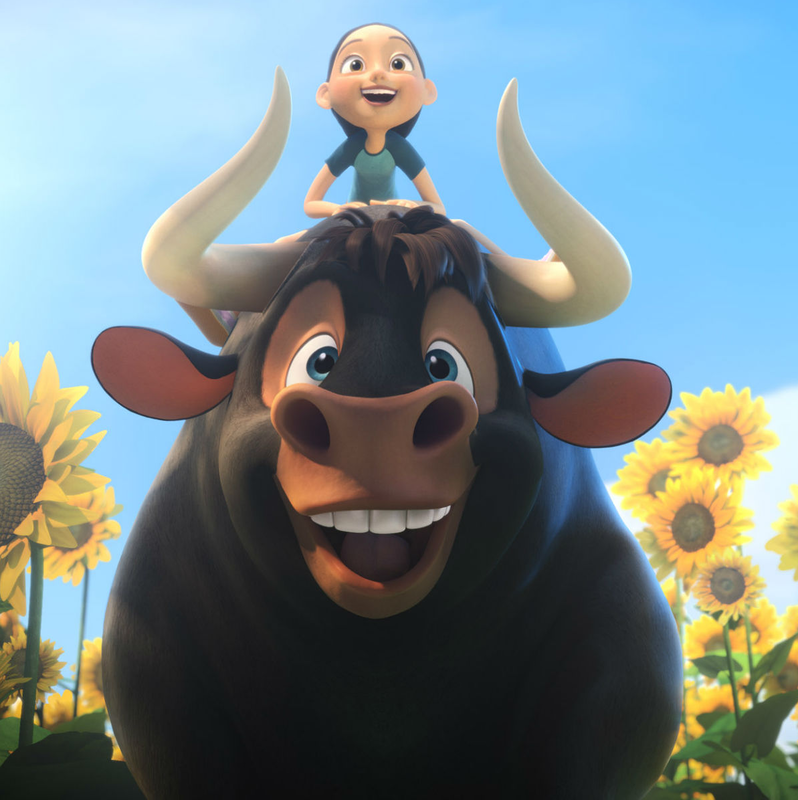 In Blue Sky Studios/20th Century Fox's Ferdinand, wrestler-turned-actor John Cena voices Ferdinand, a bull who would rather sniff and look at flowers all day than do what he’s supposed to do, which is fight a matador. An unintended escape early in his life lands him with Nina (Lily Day) and her father, but his size means he can’t avoid his fate forever. This adaptation has added a host of supporting actors to flesh out the thin original story. 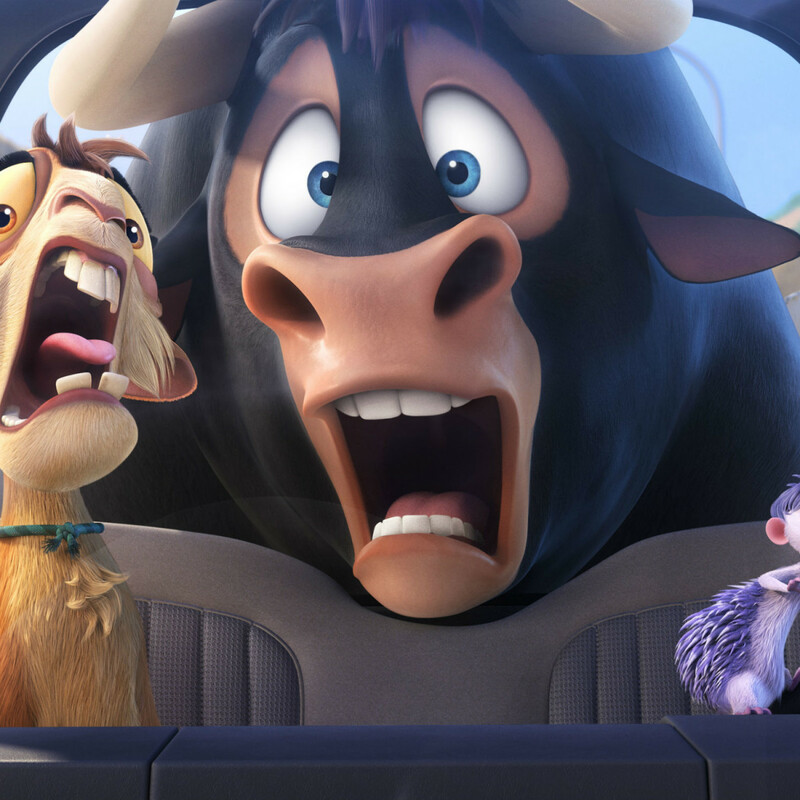 They include three distinct trios: Fellow bulls Valiente (Bobby Cannavale), Guapo (Peyton Manning), and Bones (Anthony Anderson); hedgehogs Una (Gina Rodriguez), Dos (Daveed Diggs), and Cuatro (Gabriel Iglesias); and show horses Hans (Flula Borg), Greta (Sally Phillips), and Klaus (Boris Kodjoe). For good measure, there’s also a support goat named Lupe (Kate McKinnon) and Nina’s dog, Paco (Jerrod Carmichael). 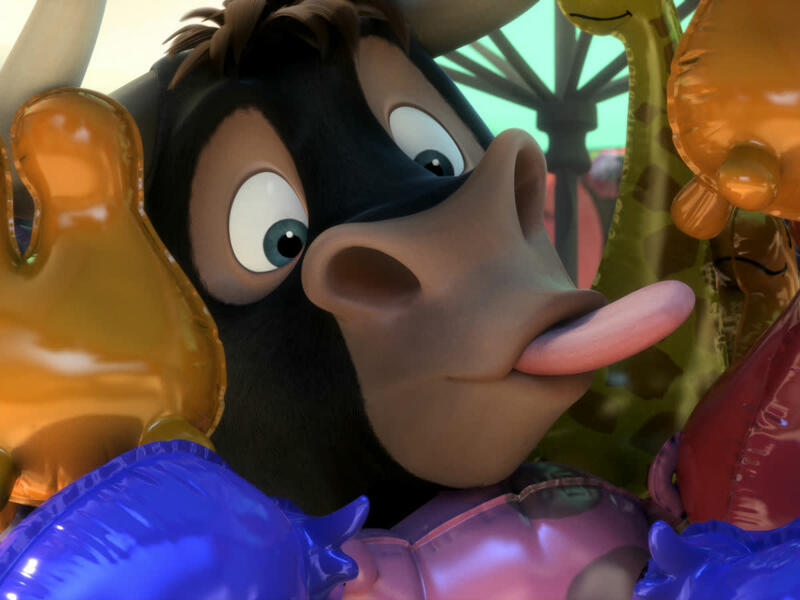 That’s a lot of characters to serve, but director Carlos Saldanha and his team keep things relatively focused on Ferdinand and Lupe, bringing in everybody else when necessary. 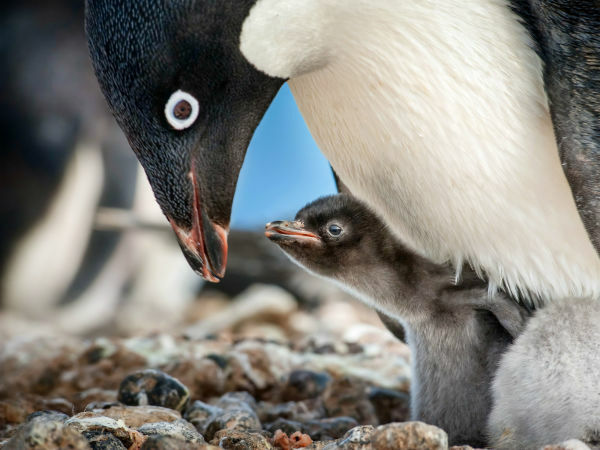 The result is controlled chaos, with written and visual gags flying everywhere and set pieces designed for maximum humor. This is balanced out by more emotion than you might think, making the film about more than just being funny. 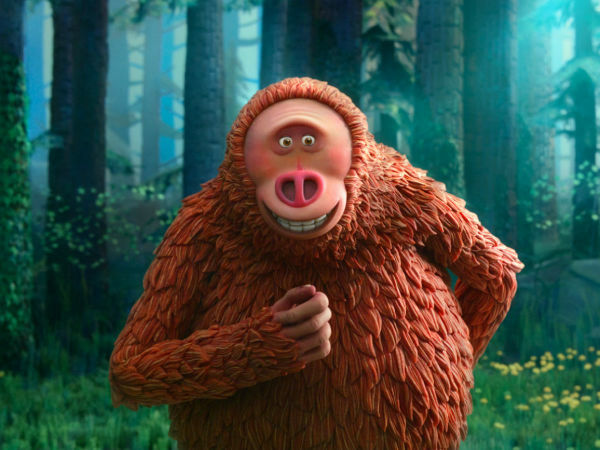 Turns out that the people behind the Ice Age series knew exactly what to do with such a potentially tricky tale. 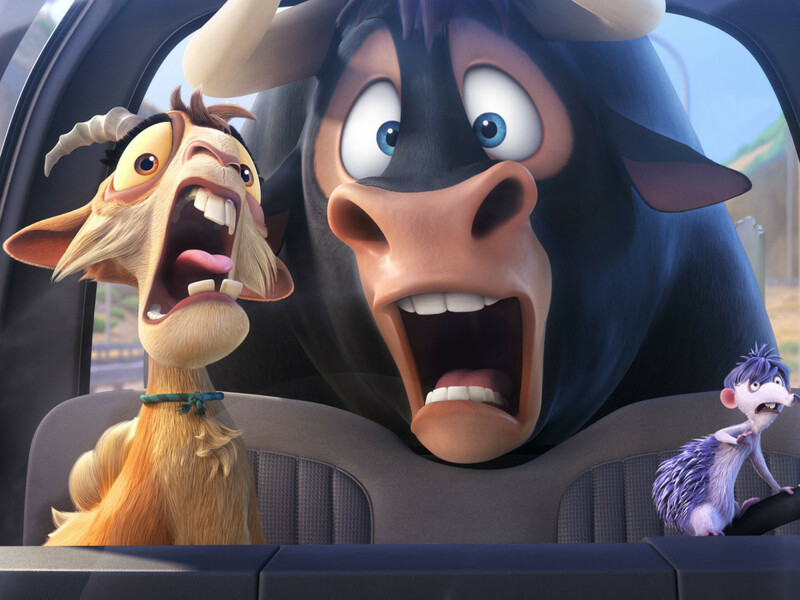 The story refers to what ultimately happens to bulls whether they fight in the ring or not, but it does so in a light manner that won't traumatize kids. Anybody who’s read the book knows what Ferdinand does to combat his supposed role in the bullfighting world, but the way it’s handled in the film is surprisingly moving. I’m not usually a proponent of using big names as the voices of animated characters, but both Cena and McKinnon bring something extra special to their roles. Cena has a naturally big-hearted personality that, combined with a voice that befits his big size, complements Ferdinand’s persona to a tee. Any fan of Saturday Night Live knows McKinnon elevates virtually every part she plays, and she demonstrates that again as Lupe. Her vocal acrobatics are equal to the off-the-wall visuals, making it impossible to keep a straight face. 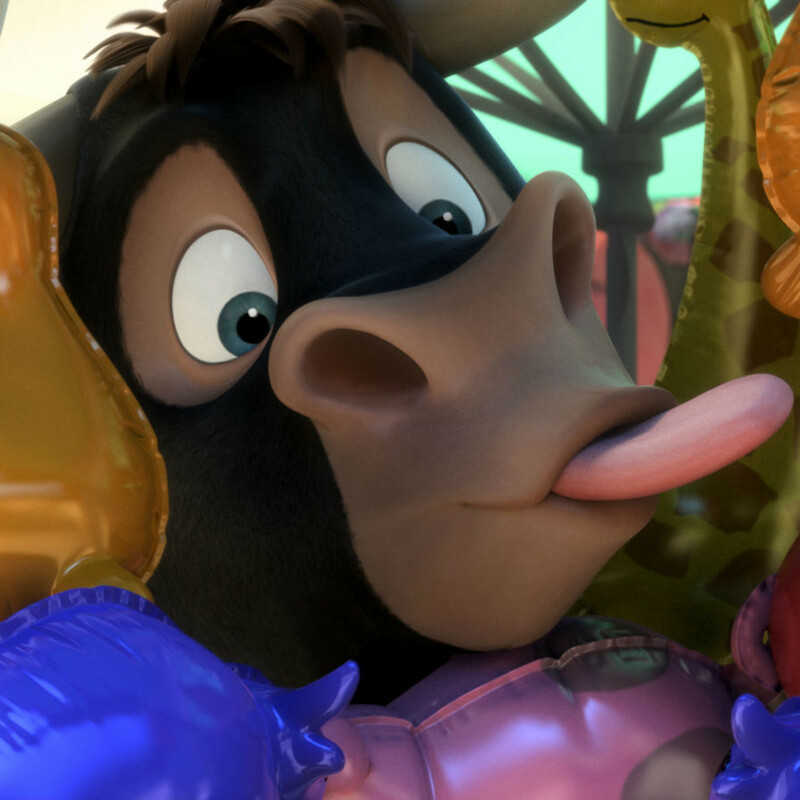 With loads of laughs, a gentle spirit, and outsized performances, Ferdinand just might be the most enjoyable animated film of the year. That’s not a bad feat for a movie that was eight decades in the making.